For lovers of bright and sometimes even odd games, Realtime Gaming has released a game slot called Fruit Frenzy. Gambling at this machine, you’ll get incredible emotions, even when you are already a worldly-wise player. Much attention was paid to the graphic design of the game, as all the signs look really crazy, as they are made in bright colors and have faces and clothes, absolutely bizarre add unusual for fruits and vegetables. Fruit machines are used in casinos of UK very often, and this machine that was developed by Realtime Gaming is no exception. The game is built on the collection of combinations of the same symbols. Before rotating the reels, you must make a bet. When collecting one of special combinations that bring profit, you earn points that you can convert into real money. 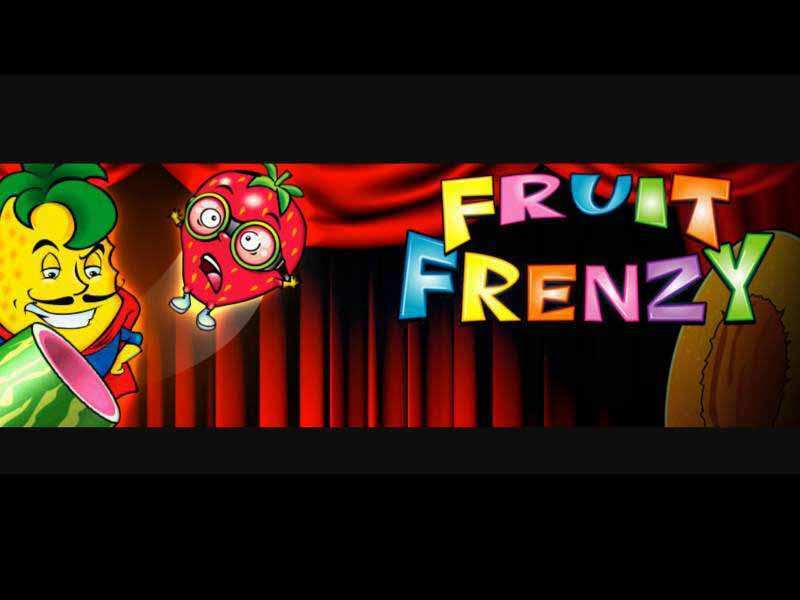 The concept of Fruit Frenzy slots is built on fun fruits that are a whole world apart. This stunning, funny, bright and even a bit mad game will send you to the past, your youth, when the slot machines were at the peak of their popularity. However, even when the gambler is are not attracted to vintage, then the jackpot this unit offers will naturally attract his keep interest and sincere attention. It is randomly distributed, and perhaps it is you who will “eat” it, the largest and the craziest “fruit”. Here betting minimum at 0, 01, you can pick any of the slot’s 25 paylines. Pineapple here that stands for Wild, substitutes any fruit except for the Scatter. However, Scatters are the opportunity to increase your winnings at times, and also get many points. The maximum sum that you can bet per 1 line is 5. Make simple arithmetic and get the largest bet that is 125 here. Learning the biggest coefficient here, which is 10,000, you can realize why these simplest Fruit Frenzy slots are incredibly well-liked by many gamblers. It’s worth mentioning about the bonus game, in which you can “shoot” from two to 25 additional spins. Regardless of your balance in the game, the quantity of these free rotations will grow with every well-aimed “shot”. Those, who wish relaxing after the craziest working day, can pick auto Spin function and watch the process of various combinations’ formation. Adjusting the sound and the picture quality, you can also make the game more convenient to you. As it comes from the data, mentioned above, the machine and its gameplay are simple. However, we do recommend you before gambling play free Fruit Frenzy casino slot machine. In this case you will take this slot as your old buddy and it’s very easy to agree with friends, isn’t it? Gamble and win! 0 responses to "Fruit Frenzy Slot"